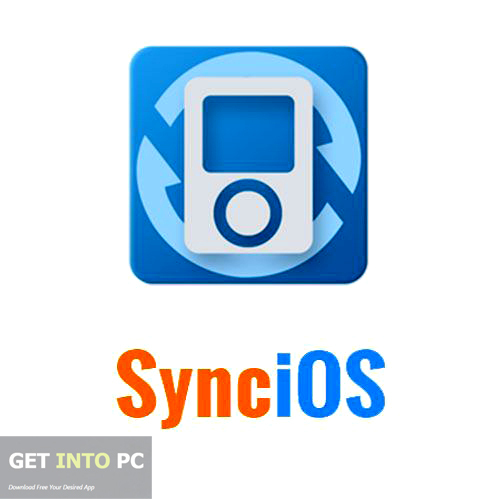 Syncios Free Download Latest version for Windows. it is full offline installer standalone setup of Syncios which shows ios devices as USB Drives in Windows. Syncios is an application which will let you transfer your data from any iOS or Android devices. 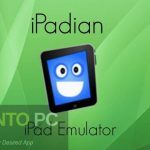 This application supports iPhone, iPad, iPod and almost all smartphones running on Android Operating System. You can also download iMobie PhoneTrans. Syncios has got a very catchy interface with all its tools neatly organized so that you can access any of them with ease the moment you plug in your device with the computer. Once the device is connected to the computer than you can easily transfer data. Apart from transferring data this application will also let you personalize your ringtones for call and SMS. 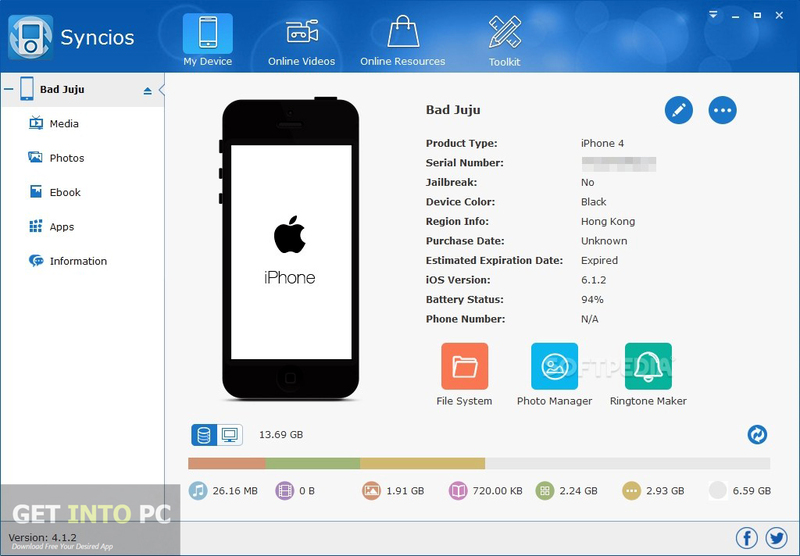 You can also view detailed technical information about your phone and you can also delete files which you no longer require in your device. You can also create photo albums as well as musical playlists. Batch downloading of video files is also possible and you can download video content from sites like YouTube, Vimeo, Dailymotion and Facebook etc. Apart from videos you can also download ringtones and wallpapers for your device. 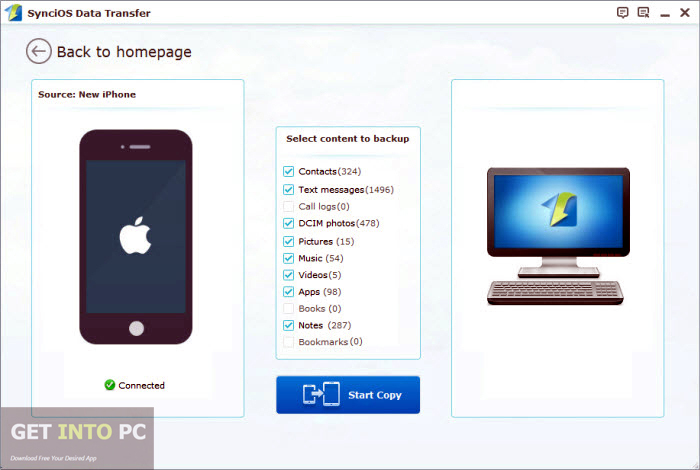 File transfer can be done quickly and the application is very light on the system. 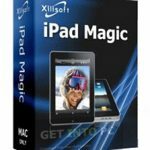 It has also got numerous handy options like filesystem explorer,audio video converter,library manager and iTunes backup etc. 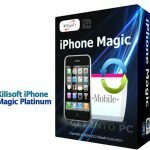 You may also like to download Xilisoft iPhone Magic Platinum. Below are some noticeable features which you’ll experience after Syncios free download. 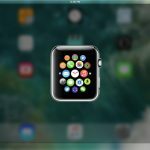 Can transfer data from any iOS or Android device. Supports iPhone, ipad, iPod and Android devices. User friendly and attractive interface. Can personalize your ringtones for call and SMS. Can view detailed technical information about your phone. Can create photo albums and musical playlists. Can download ringtones and wallpapers.Got video converter and library manager. Before you start Syncios free download, make sure your PC meets minimum system requirements. Processor: 750MHz processor or later. Click on below button to start Syncios Free Download. This is complete offline installer and standalone setup for Syncios. This would be compatible with both 32 bit and 64 bit windows.